A suspected case of child abuse brought police to the emergency room at Central Iowa Healthcare in Marshalltown. When officers arrived, they were briefed by the medical staff and informed that the child, a two-month-old male, was being flown by air ambulance to Blank Children’s Hospital in Des Moines with serious injuries. Detectives were called in to continue the investigation. 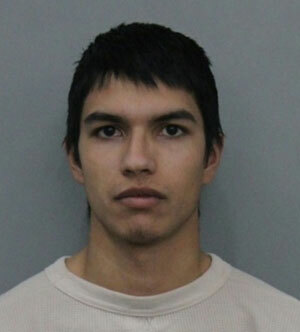 Based upon their investigation, they arrested the father of the child, 18-year-old Ryan Scott Nichols of Marshalltown. Nichols is charged with willful injury, neglect or abandonment of a dependent person and child endangerment causing bodily injury. Nichols was transported to the Marshall County Jail where he remains pending his initial appearance in court. The case remains under investigation by the Marshalltown Police Department and the Department of Human Services.